Richard Chapo is part Internet business lawyer and part business owner, and always completely amazed at the evolution of the online entrepreneurial world. As an Internet attorney, he advises businesses on legal and regulatory obligations when operating online pursuant to laws such as the Communications Decency Act and many more. A licensed attorney in California since 1992 he has spent time working for a firm specializing in complex contractual bad faith matters. His international experience includes working as a professor at a Chita State Technical University teaching law and cultural English in Siberia, Russia in 1999-2000. Upon his return to California, his attention turned to the commercialization of the Internet. He has been operating his own firm specializing in cyber law since with an emphasis on providing legal advice on topics such as copyright infringement, trademarks, privacy, user-generated content, compliance for private companies, and a host of other topics. Armed with $3,000 and no real estate experience, Mark Podolsky bought his first parcels of land in 2001. Now, he is the owner of Frontier Properties, a successful investing company, and has completed more than five thousand lucrative land deals. He is also the founder of geekpay.io, an automated collection system that helps lenders get payments from borrowers without collection headaches. Having escaped the corporate world and solo-economic dependency himself, Mark works as a coach and mentor to help others achieve their financial freedom goals. 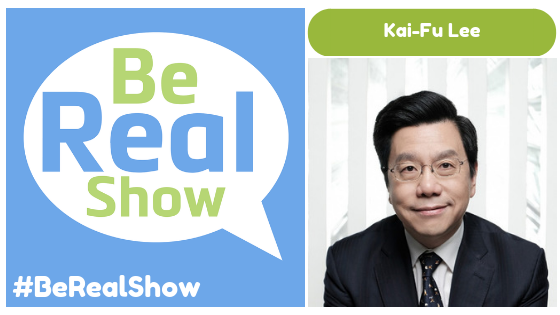 He is dedicated to teaching current, relevant, "real-world" investing methods to his students. After a decade in advertising sales, Mark began the Home Story company in early 2011. He learned to challenges that entrepreneurs face which caused him to create a system known as the Home Story®. After directly coaching over 300 clients over the last 6 years, Mark developed, refined and used the components of the Home Story. The system helped Mark and many other media reps closed hundreds of thousands of dollars in new business. Leslie led the launch of Silver Hill Funding as well as Commercial Direct, and oversees sales and operations for the entire small-balance commercial lending division. She has been instrumental in driving productivity and growth for nearly a decade within the Bayview organization. Leslie’s key contributions include building a banker education program, managing the top 50 correspondent relationships, and leading expansion into international markets, as well as overseeing Project Management, Vendor Management and Process Engineering groups within Bayview Loan Servicing. Motivational speaker and transformation coach Garrain Jones has read The Power of Positive Thinking over 200 times to reinforce the practice in his life. As a former criminal carrying the baggage of a tough upbringing, he created a process to overhaul the mental patterns leading him to bad life decisions and came out the other side a new man. The author of the upcoming book Change Your Mindset, Change Your Life explains the power thought has in rewriting your life story. Michelle L. Evans walked away from her global marketing strategy role at Microsoft in 2012 after a successful 16-year corporate career spanning many industries and now works with a fantastic community of business owners - coaches, consultants, experts, speakers, authors and solopreneurs - helping them go from simply surviving to predictably SOLD OUT. Using her 20+ years of successful marketing experience she helps her clients create income-producing, client-generating, stress-reducing marketing funnels. Michelle has been featured in Mirasee, Huffington Post, Online Marketing Made Easy and 30+ other places over the internet and worked with household names like Microsoft, LinkedIn and others as a well-paid employee and consultant. Anik Singal started his Entrepreneurial journey 15+ years ago right from his dorm room. He had absolutely no experience and stumbled into this world by mistake. After struggling for 18 months, he was just about to give up when he finally broke the first part of the code! Since then, Anik Singal has sold over $200 Million worth of products. He has been featured in BusinessWeek as a Top 3 Entrepreneur Under 25. Anik Singal has also been recognized TWICE as a Inc 500 CEO. Anik Singal has taught over 250,000 students all over the World. Not only is he an Entrepreneur - but partners with his wife to build schools in the Slums of India and also adopts villages in East Africa through the power of Micro-Funds. 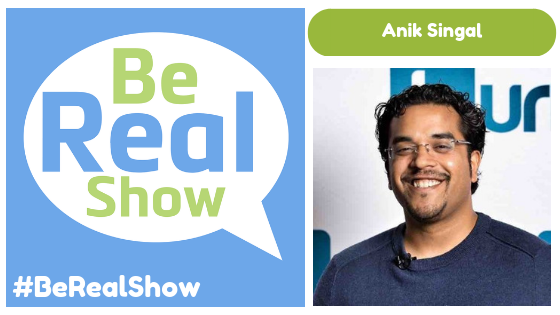 Anik Singal is on a journey to become the World's #1 advocate for Entrepreneurship. 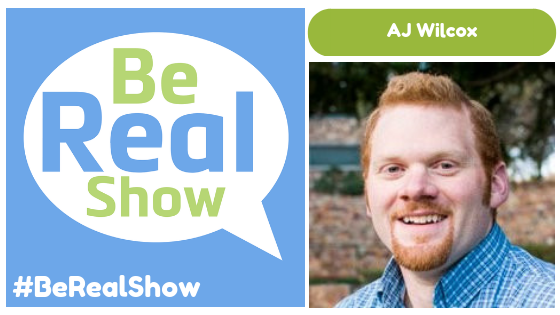 In this episode of the Be Real Show, Joe tells us to post on your blog, website, and social media in the mornings to ensure the most amount of people will see it. Joe wrote the book How To Go Viral and Reach Millions: Top Persuasion Secrets from Social Media Superstars, Jesus, Shakespeare, Oprah, and Even Donald Trump. In this book, Joe tells us how people can make a video go viral or even a blog post. We find out that videos need to be able to tell a story visually without any sound. Next, Joe Romm suggests publishing on Kindle because you can find what part of your books are most popular among your readers. We also find out how the greatest speechwriters in history all use the same formula “and, but, therefore.” Lastly, we discover the most significant mistake people are making when marketing online is not spending enough time on the opening line. Magnus Unemyr is a marketing automation and artificial intelligence consultant, author, and speaker. He is based in Sweden but works internationally and has given talks around the world on software development and digital marketing. His 25 years of experience includes senior positions in the global software arena including vice president of sales and marketing, product manager, product marketing manager, project manager and software developer. Magnus also co-founded a successful software tools company. Over the past few years, he has focused on creating leading edge marketing strategies using some of the world’s most advanced marketing automation tools. These tools can dramatically increase the capacity of small and mid-sized businesses to establish a global brand presence, increase leads and conversions, and dramatically amplify their marketing efforts. His passion is in creating well-oiled marketing machinery to generate valuable lead generation. Matt Watson, is an American entrepreneur and the current CEO of Stackify LLC, a technology company based in Leawood, Kansas. In 2003, Watson co-founded and served as CTO of VinSolutions, a developer of online CRM and lead management software for auto dealerships. In 2011, VinSolutions was sold for $135 million to AutoTrader.com. Then Watson founded Stackify in January 2012 to assist software developers in troubleshooting and support with a suite of tools including Prefix and Retrace. Watson has credited his experience at VinSolutions for the skills necessary to build Stackify. During the same period, he also launched the Watson Technology Group to support other entrepreneurs via angel investing.